Made of Cotton + Polyester, high quality and comfortable to wear, tailor-made, fit you best. The costumes are both accurate designed, exquisite in details, made according to the original version, great for Aburame Shino Cosplay. 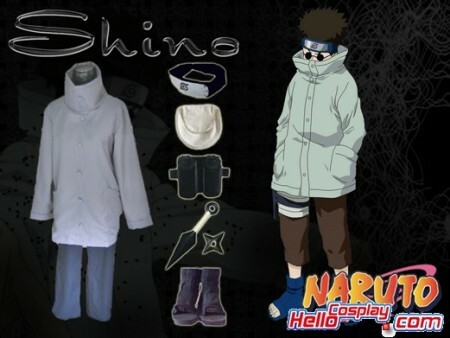 Shino Aburame (油女シノ, Aburame Shino) is a shinobi of Konohagakure's Aburame clan. Quiet and at times off-putting to some, Shino puts his clan's hiden techniques to use on Team Kurenai.